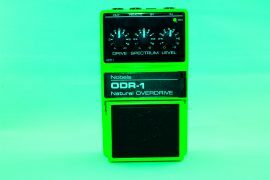 The Boss SD-1 Overdrive pedal was first released in the mid 1980’s as a replacement for the older OD-1. Not to be confused with the similarly named DS-1, the Boss SD-1 is an overdrive pedal, not a distortion pedal. 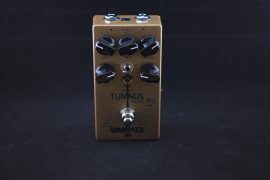 It seems that time has favored the ubiquitous Ibanez Tube Screamer (TS-9, TS-808, etc.) 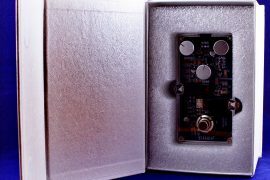 over Boss’s contribution to the overdrive market, but SD-1 stands on its own as a unique and versatile, albeit underrated, overdrive. The greatest difference between the SD-1 and Ibanez’s Tubescreamer series is that the Boss generates asymmetrical clipping, as opposed to the more common symmetrical clipping that is produced by the Tubescreamer. What does this mean? Well, for one thing it means that the fundamental character of the SD-1’s sound is slightly different than that of a typical overdrive pedal. Symmetrical clipping generates mainly odd harmonics, while asymmetrical clipping generates both odd and even harmonics. 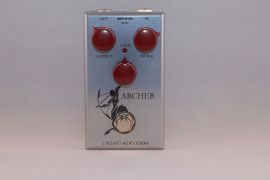 According to Analogman (who is a pedal wizard, and worth checking out), this results in a sound that may not be as pure, but that is richer. When compared to a Tubescreamer, the Boss SD-1 has more volume, and a greater presence of harmonics. Sounds like a nice option to have in the overdrive market, so why don’t we see more overdrives that feature asymmetrical clipping? 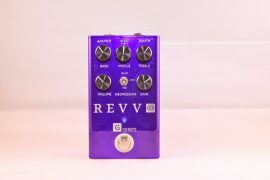 Apparently Boss’s parent company, Roland, has a patent on asymmetrical clipping, making Boss’s overdrive series the only mass produced overdrives currently on the market that feature this unique voicing. 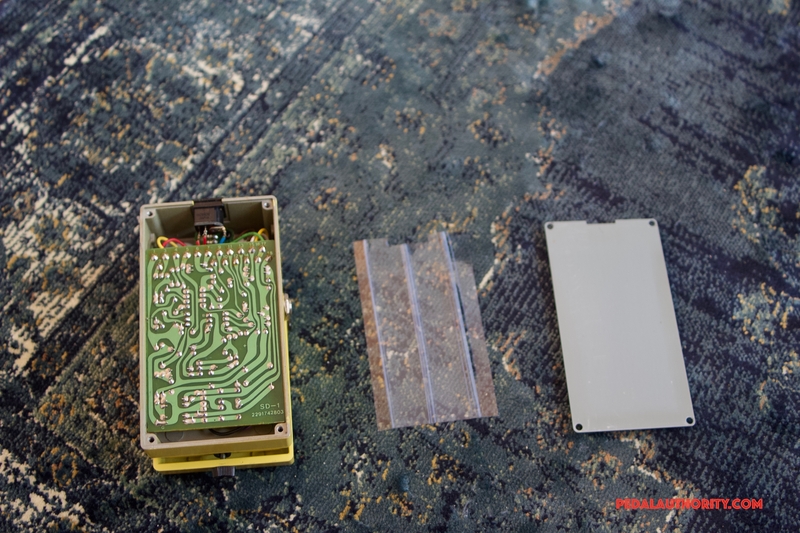 Because of its unique voicing, the SD-1 is worth considering if you are going to be counting on your overdrive pedal to add some color and nuance to your sound, in addition to the grit you expect. There is a kind of brilliance (although very subtle) that the SD-1 contributes to a guitar’s sound, an effect that is well suited to crunchy, open chords. It is just enough color to slightly enrich the harmonics on a humbucker equipped guitar, and thicken up the overall sound of a single coil equipped guitar. Crunchier Telecasters and sweeter Les Pauls? Count us in. The SD-1 also sounds great paired with its orange sibling, the DS-1 Distortion. 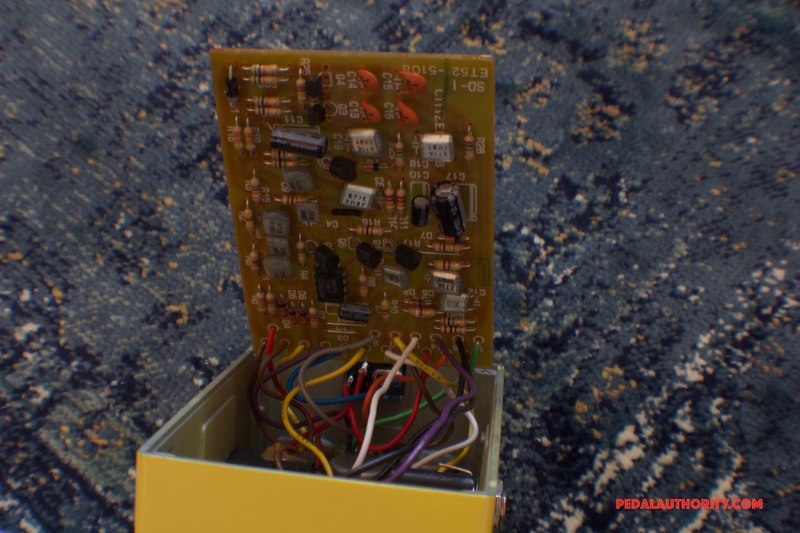 In fact, much of the thinness and fizziness that people complain about with regards to the DS-1 can be remedied through the addition of an SD-1 Overdrive. You can use the SD-1 as your “always on” pedal for smooth tube crunch, and kick on your DS-1 Distortion for solos, or vice versa! 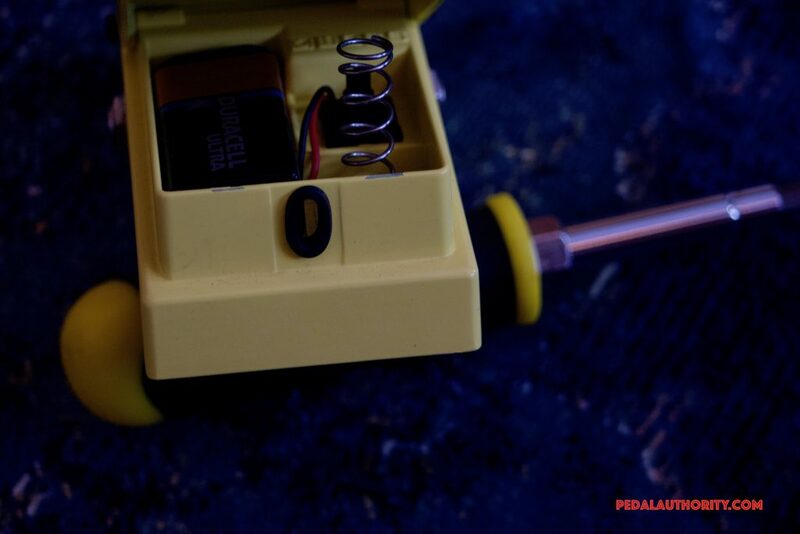 The pedals sound slick either way, you get to decide what sounds best to your ears. Telecaster Style Guitar [Maple Fingerboard, Dimarzio D-Activator Humbucker (bridge position)] – Cable – Scarlett 2i2 Interface – MacBook Pro 15” 2012 – Logic Pro X. Moderate amount of signal loss here, particularly in the upper frequencies. Basically what one can expect from a decently well made pedal without true bypass. 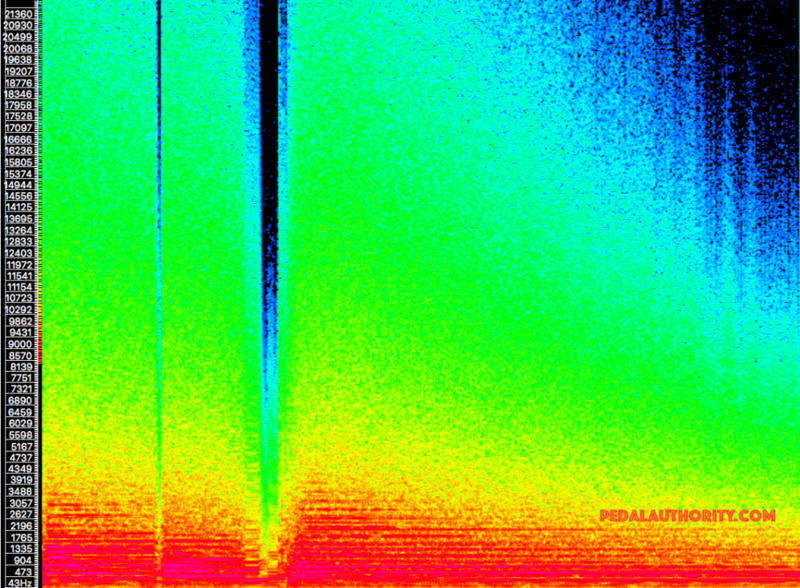 However, there appears to be no drastic gouging of frequencies, nor any harsh artifacts added. 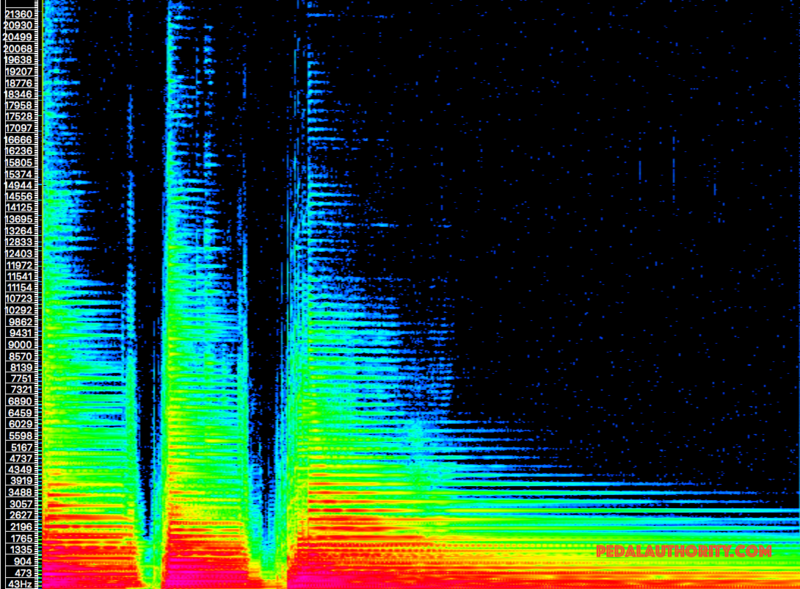 A neatly saturated and elegantly attenuated signal is on display here. Notice that the greatest amount of saturation is focused on the lows and the bottom half of the mids. 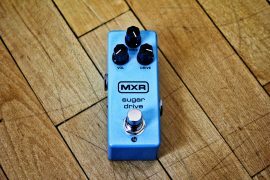 This is pretty standard for overdrive pedals, as it helps generate the cruch that is typically associated with overdrive. 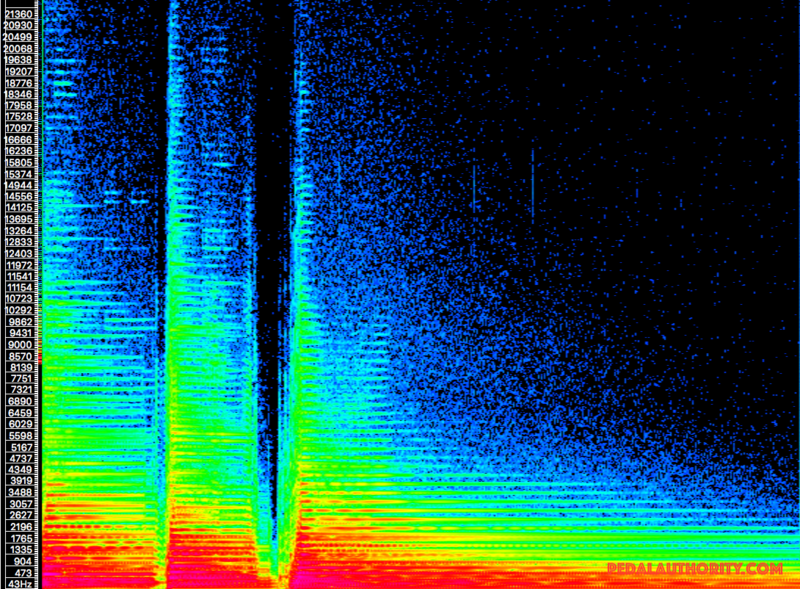 Notice too that from ~9.5kHz through the upper limits of our hearing, the saturation quickly drops off and stays at a uniform level. This is one of the reasons that it is easier to get away with playing full-voiced chords with overdrive than it is with distortion. 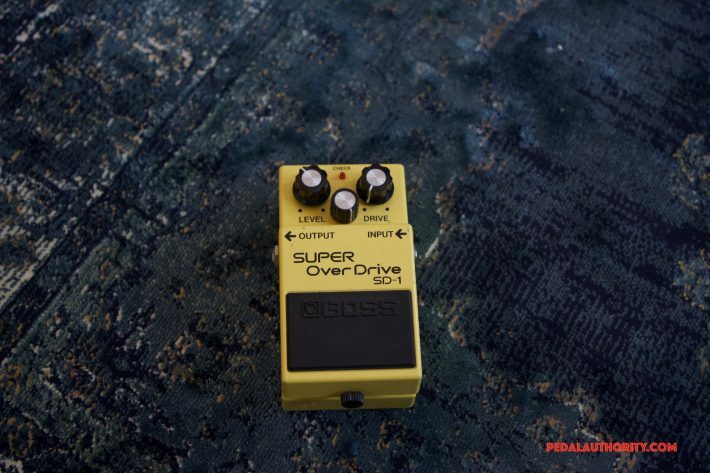 It is not uncommon for even open chords to be played with a decent amount of overdrive (think of Malcolm Young), since higher notes and overtones contain a significantly lower concentration of energy. Kick on the distortion pedal, however, and many of those chords will start to sound muddy, dissonant, or shrill, as the extreme concentration of overtones and upper voices inhibits our ability to percieve the difference between the fundamentals and the overtones. It is worth noting that the level and range of focus that the SD-1 contributes makes it particularly useful for balancing out the sound of a more liberally voiced pedal, such as the DS-1 Distortion. 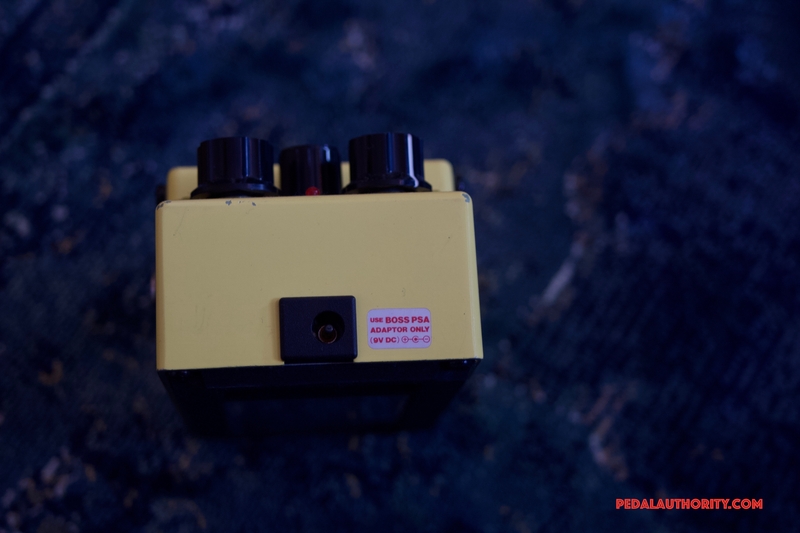 The SD-1 basically focuses on all of the important (to guitar playing) frequencies that the DS-1 neglects, making the two pedals useful compliments to each other. *Note that these settings will be mimiced (controls at noon, level at full), when possible, in all of our distortion, overdrive, and fuzz reviews, in the intrest of developing a standard that facilitates both comparison and understanding of the inherent tonal qualities of each pedal. One of the best things about the SD-1 is its price point. In most markets, it is priced well below Ibanez’s Tubescreamers, so from a cost perspective, you haven’t got much to loose when trying out a Boss SD-1. Weight (including battery): 15 oz.